One of the most important things I have learnt as a dog trainer is the difference between feeding a dog and reinforcing behaviour with food. 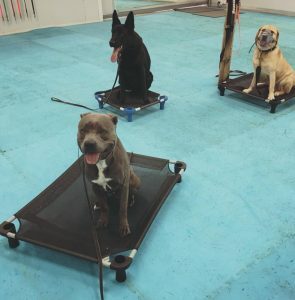 Learning how to use reinforcement correctly in training is usually just one element of successful behaviour modification but it is a critical part of helping the dog to develop work ethic, learn how to make good choices and add strength to the behaviour. Most dog owners who come to see me for training give their dogs treats at some point or another, so the concept of rewarding their dog isn’t often a foreign one. 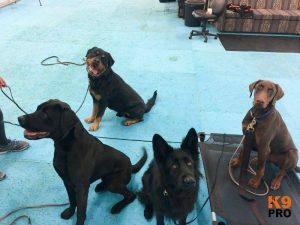 Sometimes they have done a lot of “treat based training” with no or little success and feel it won’t work for them or their dog. In fact it isn’t uncommon for owners to write on their client information form that they don’t want to use food in training because they’ve tried it without success or even more common as they don’t want to have food on them all the time. 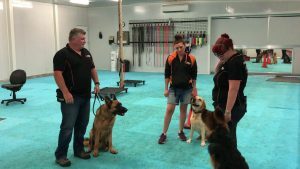 It surprises these owners to know that in many of these situations they aren’t using rewards correctly, to the detriment of training progress. Dogs that need to see food all the time have not had their behaviours reinforced, they have just fallen in love with doing something small to get something. I remember reading a blog of Steve’s from many years ago that spoke about the difference between using food as a reward and simply ‘food exchange’ where the dog is just accepting a piece of food without really connecting it to a specific behaviour or emotion. This is a really common problem in training amongst dog owners and competitors alike! The goal of using food in training is to reinforce a behaviour. Just feeding your dog a piece of food does not guarantee any reinforcement occurred. You could literally give your dog 100 pieces of food and not be any further in front. Many owners I see that come in with reactive dogs try to distract their dogs away from other dogs or people by feeding them continuously in an attempt to gain or keep their focus, as though the owner is a vending machine that is dispensing dozens of treats. Some owners hold out food to their dog like it’s a life line, in some situations begging the dog to please just take the tasty treat rather than explode at the other dog. I meet many owners who walk their dogs with a piece of food permanently clutched in their hand so they can immediately wave it in their dogs face to try to get their attention before the dog notices another dog is approaching. Just because your dog takes the food does not mean it has been attached to a behaviour. Just because you have given your dog food does not mean that any counter conditioning has taken place or will ever take place. The proof of this is dogs that are in behavioural training for years and barely making any progress. I had a new client in for a lesson recently who wrote on their form they specifically did NOT want to use food in training, because they had been trying to do so with their previous trainer to no avail. They were begging the dog to come away from distraction with food, which not only devalued the food and created conflict with the handler when the dog ignored them in favour of lunging and barking at the dog, but made the owner feel like food was a useless tool. If the dog did take the food, it was still highly engaged with the other dog and over stimulated. These clients had persevered with this method for so long with no success they were convinced their dog had no food drive. Creating and developing work ethic in dogs is a key part of behaviour modification. In fact, their dog had really great food drive, but they needed to learn how to use food as a reinforcer not a bribe. They were begging the dog to take food to distract their dog away from other dogs. 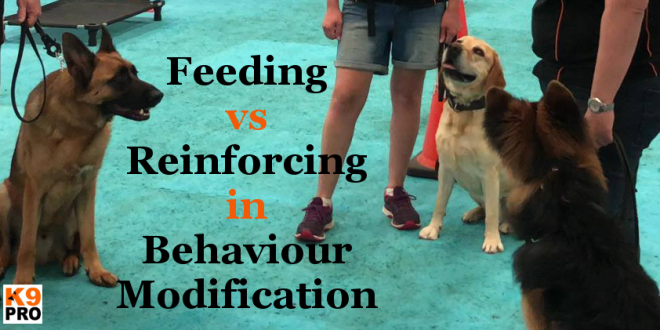 Learning that they need to do X behaviour to get Y reinforcement is what helps to create work ethic in dogs, which is a key part of behaviour modification. Does this sound familiar? One problem with trying to distract your dog away from seeing another dog is that you are not allowing them to even notice the other dog is there. In this situation, if you are lucky enough to get your dog focused on the food before it sees or notices the other dog, you are simply feeding them, and there is a difference between feeding and reinforcing. In this case you aren’t reinforcing your dog for making a good choice like choosing not to engage the other dog. If this technique works, your dog is so focused on the food it hasn’t noticed the other dog. In our training systems we don’t want dogs to ignore distraction, we want them to notice the other dog and consciously make a choice to continue offering the behaviour you have asked for. Using reinforcement correctly means not only are you adding strength to desirable behaviours, you are building work ethic into the dog where he or she understands they need to offer good behaviour to get paid. A dog that needs you to show them food first to then decide if it wants it, or whether it would rather engage distraction, is not displaying work ethic. Imagine going to work at the start of the week and asking your boss to show you a pile of money so you can decide whether you want to do your job that week, or whether you’ll just head home and not bother. That isn’t an attitude any employer would want in a staff member as they are not working as part of a team, or displaying work ethic… yet this is the attitude many owners unknowingly create in their dogs by trying to bribe them with food. Understand too that the cue for the behaviour may be showing food, therefore when no food is shown, no behaviour is offered. I have lost count how many times I have heard owners tell me their dog will only do x y or z behaviour if they see a treat in your hand. This is because the dog thinks the visual of the reward is part of the behaviour chain. 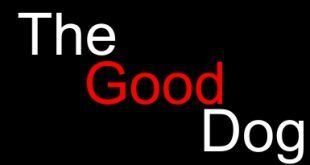 The other problem in these situations is the dog has a choice whether it wants to take the food or not, and if you are waving food in your dogs face to try and distract it, you risk creating conflict between you and the dog and devaluing the reward if the dog decides the distraction is more enticing than whatever treat you have on offer. It is extremely rare I have an owner come in who has perfect timing, reward placement and delivery – this is a skill that can take time and practice to really master. Sometimes it is just a case of changing a small few steps in reward timing and delivery to completely change the dogs behaviour. Food is just another training tool and like all tools we need to learn how to use it properly to successfully motivate the dog. 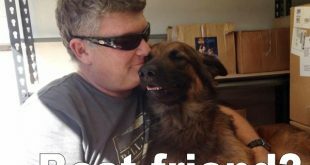 In the years I have worked for Steve and learned from him, I have watched him use food to develop and reinforce emotions in dogs. I have watched him make the foods “behaviour” increase or decrease drive and energy in the dog so he can teach or reinforce certain elements of an exercise with the correct amount of energy, or take balls from a simple fun exercise toy to a precise motivator for behaviour like advanced heel work and engagement. Dog training can be complicated or it can be a combination of a few elements done very well. 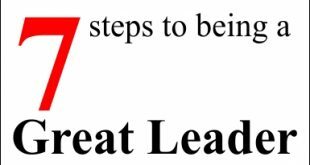 If you are struggling in training whether it is because an existing reward system you are using isn’t working, or your dog has very low food drive etc, this is something a skilled and professional trainer can help you with. Know too that reinforcement can come from removing pressure (negative reinforcement) but that is a topic for another article. As always let us know your thoughts! Wow that is an amazing read ,I have to say I was one of those dog owners who would give there reactive dog treats to try and distract him from lugging or barking at other dogs on our morning walk but thanks to a great trainer we are learning how to change this behavior, having a reactive dog is a lot of work and there were times when I was so exhausted but we kept going and I now can see Ollie making better choices we still have away to go .